Welcome to my stop on the Acreage Blog Tour! Ever since I was a little girl, I dreamed of living on a farm. Images of rolling hills, cattle in the pasture, horses by the stall, chickens … lots of chickens, and a pond. Sigh. All of these make my heart sing. When we moved from the suburbs of California to the rural foothills of the Blue Ridge Mountains in Virginia, I thought for sure my dream was going to come true. We tossed around the idea, even looked at a few properties, but it just wasn’t the right time for us. We did, however, find a beautiful home on some acreage … about 1.5 acres to be exact. It’s not quite what my little girl mind had envisioned, but right now, for us, its perfect. My heart still longs, though, for a day when we can find those acres and maybe an old farmhouse that needs some TLC … a new project for our retirement years. When Shannon put the call out for participants in her Acreage Blog Tour, I jumped on it. The fabric is gorgeous, and with a name that evokes so much emotion for me, I knew I couldn’t go wrong. I immediately knew I wanted to make a quilt. 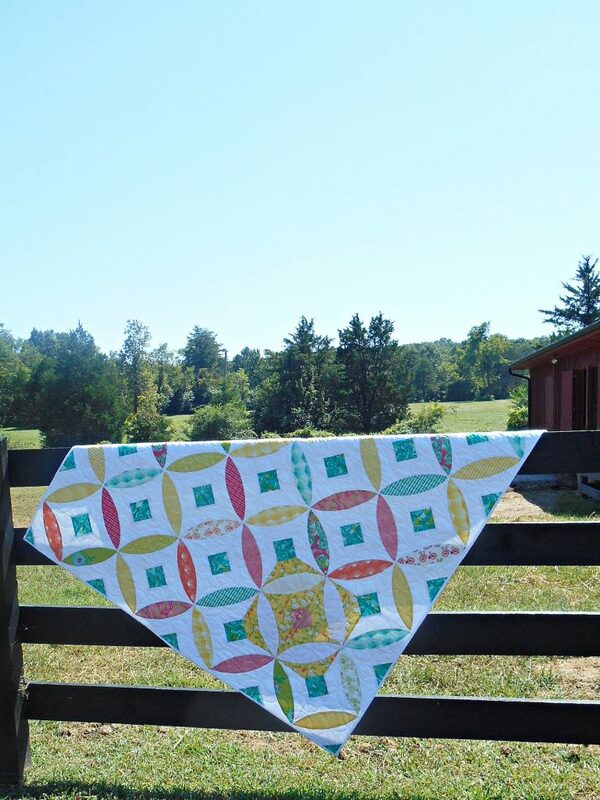 One that would be perfect for picnics on the farm, or covering up on a cool Fall night at the firepit. This weekend I gathered the grands and headed out to the farm … our friends farm … 15 glorious acres of horses, chickens, gorgeous oak trees, a pond, and best of all, a beautiful red barn. We had a great time visiting and introducing the farm animals to the kids. They loved them! 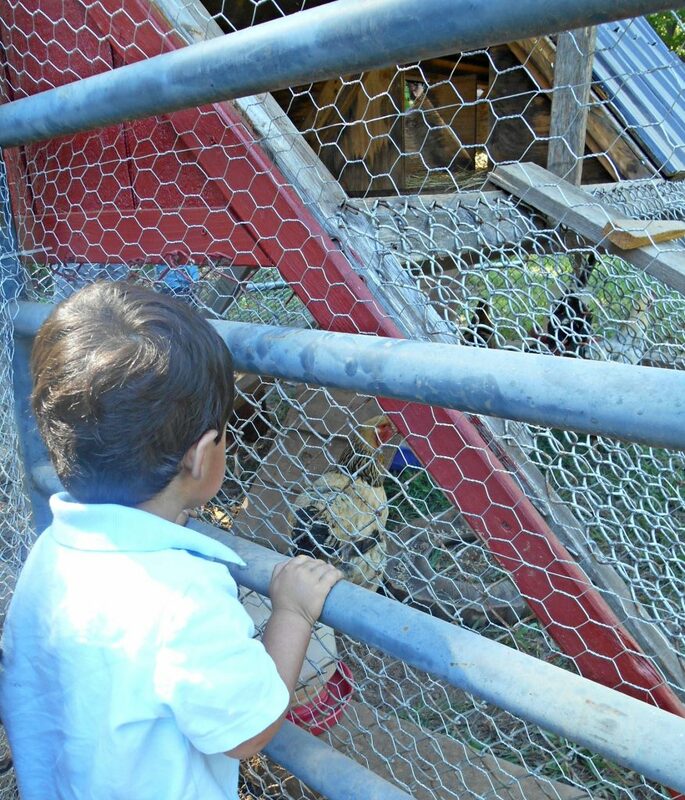 Our little guy stood and watched the chickens for quite some time. I’m pretty sure he would’ve loved to be in there with them. 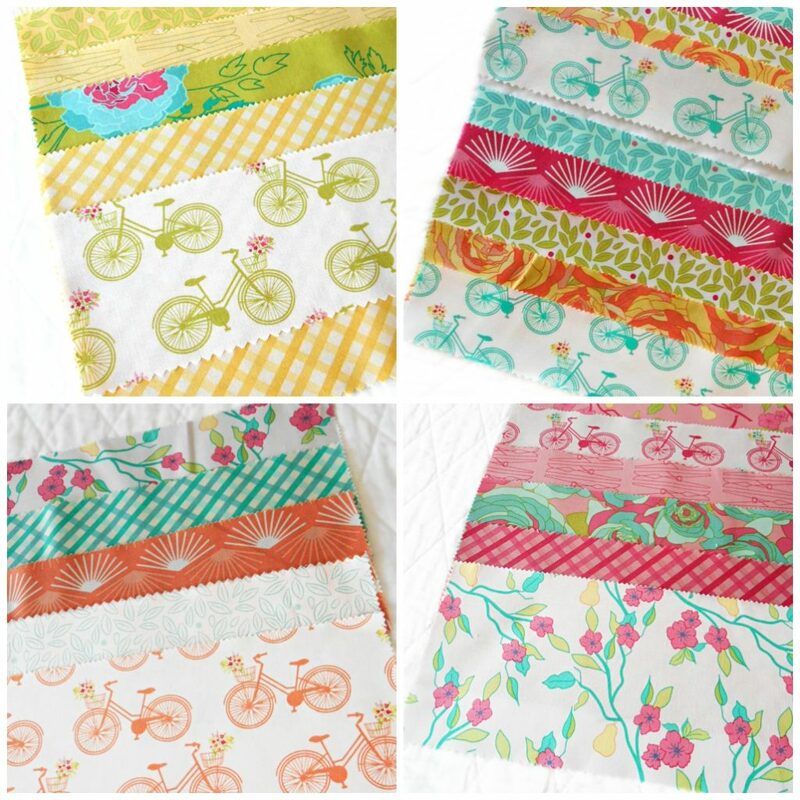 The fabrics in the collection remind me of so many elements of country living, from the gorgeous flowers, to the vines, the graphic elements that remind me of gorgeous sunrises and sunsets, the gingham prints taking me back to church picnics, the clothespins … memories of sheets drying on the line, and the bikes filled with floral bouquets. It’s the perfect collaboration of everything you’d find in the country. I’m pretty sure my word for 2017 is going to be “Acreage” … lots and lots of Acreage … both in fabric and in land. “Acreage” will be in shops starting in September. 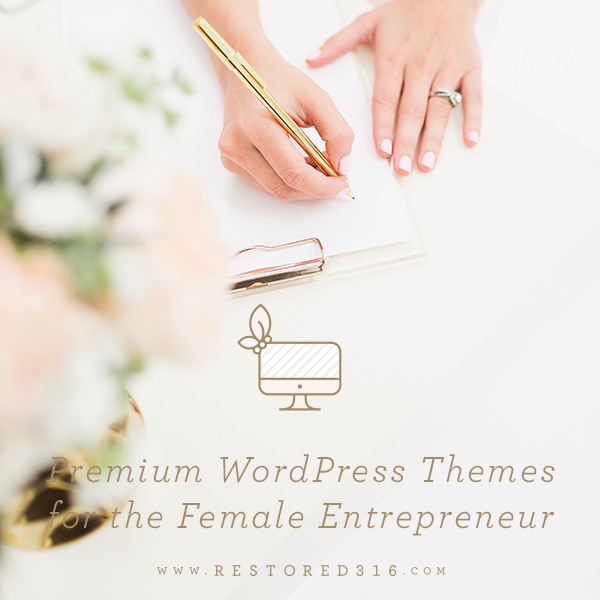 In the meantime, take a few moments to visit these other bloggers that have created amazing projects from Shannon’s new fabric line. Love the fabric. The pattern is looking beautiful. Just had to say congrats on the beautiful new site so simplistic clean and easy to use without doubt a restored site but still one of a kind. 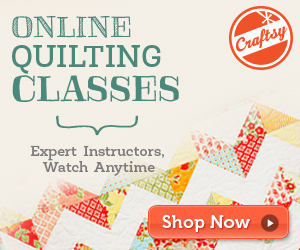 I love your work I’m an aspiring quilter ( rag quilter I’ll admit ) your pieces are truly art . Be blessed in all you do so lovely to see such a great site to start the morning . You perfectly did it!Please teach me to do that quilt. I love the pattern! Is there a pattern it tutorial for qulit? I have some new favricic varing from a few fat 8th, jelly rool, pk of charms and a twin pack of the 2 1/2 origami squres. Tbey were designed by Jera B from Quily as you go, her sire in Quilting in the rain and it is perfecr for this setting and her variety is stunning. Check it out, pluse the others who have created magic with fabric. I would love to try this quit so if pissible czn you list finished size and maybe the how to. Wow, you’re amazing girl. Your quilt is absolutely beautiful!! Love the fabrics you chose as well. You’re so busy, when did you have time to make this beautiful quilt? Such a lovely quilt! This fabric is so fun to work with. Thank you so much Anna! I loved the items you made as well. The skirt is adorable! 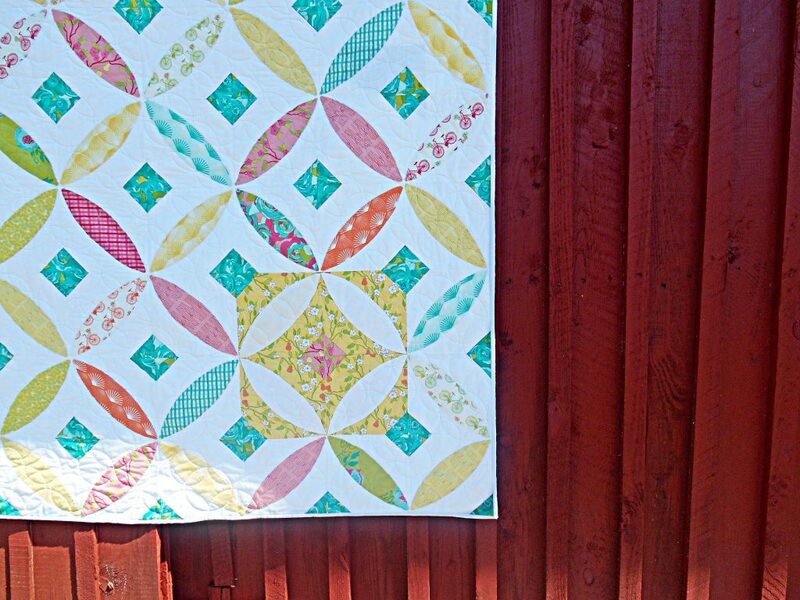 What a beautiful quilt, I’m going to have to find some of this fabric!! Thank you so much Kristen! I enjoyed working with this fabric. 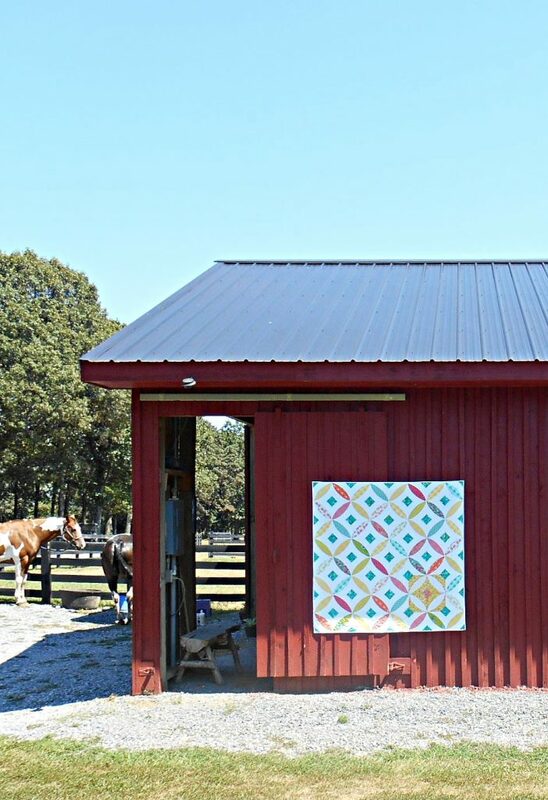 It’s bright and fun, perfect for a summer / early fall project.